Gesture interactive displays have exploded onto the scene with Kinect and other gesture-based systems. We brings these devices to life with custom programming that seamlessly integrates the devices into an overall entertainment experience or corporate display. Allow users to interact with your product or brand on these unique, compelling displays in your storefront, showroom kiosk or tradeshow booth. Or integrate a gesture-based display into your theme park, nightclub or other destination attraction. We are working with the world’s leading providers of multi-touch and gesture interactive tables, walls, kiosks and 3D displays to provide you with the solutions that best suits your unique applications. 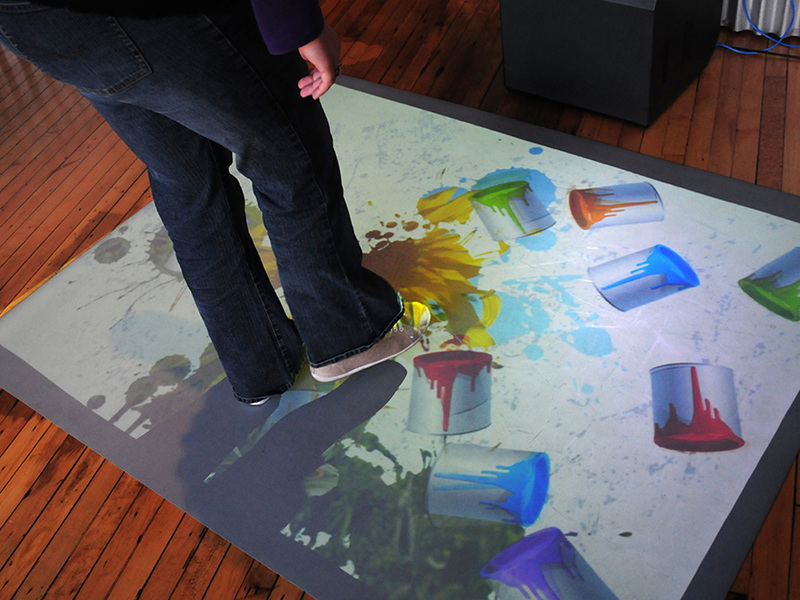 We turn virtually any surface into an amazing interactive effects experience. 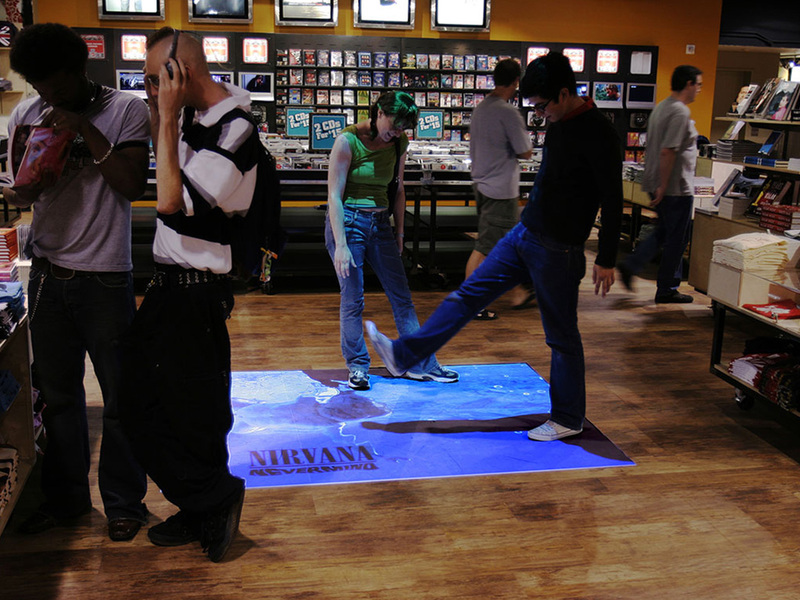 These innovative visual display systems allow people to directly interact with a large projected ad or game with their body movements, immersing themselves into your message. Gesture Interactive Surfaces provide a full-body interactive environment for an effective and fun experience for all users. Gesture Interactive Surfaces technologies are based upon a patented motion gesture control system. 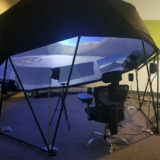 This system showcases an interactive virtual world where the state-of-the art tracking system within the software reads the position of the body at all times, allowing real-time movement and interaction with the display graphics. 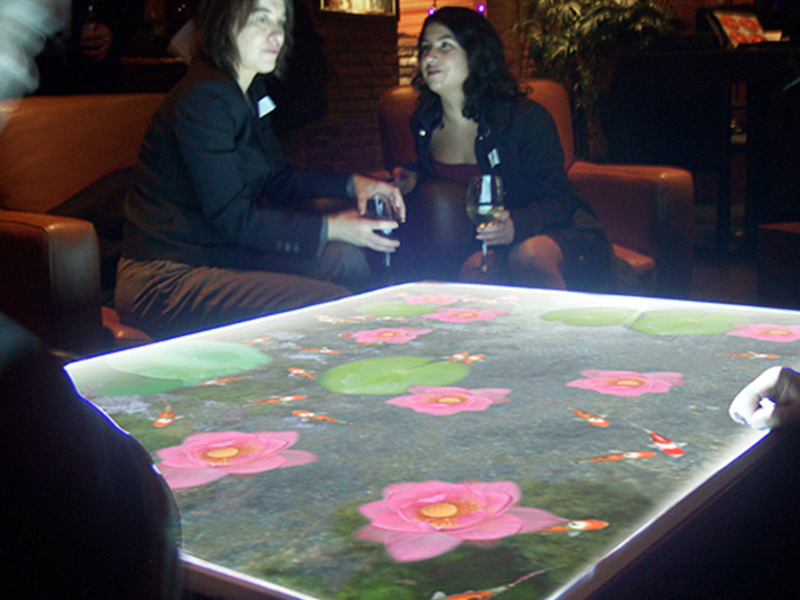 The gesture interactive effects can be projected onto any flat surface (table, wall, floor, etc.) with scalable display sizes and have the ability to tile and network multiple units together to create large custom surfaces. Looking for a compact, turnkey, ‘plug and play’ interactive display unit? 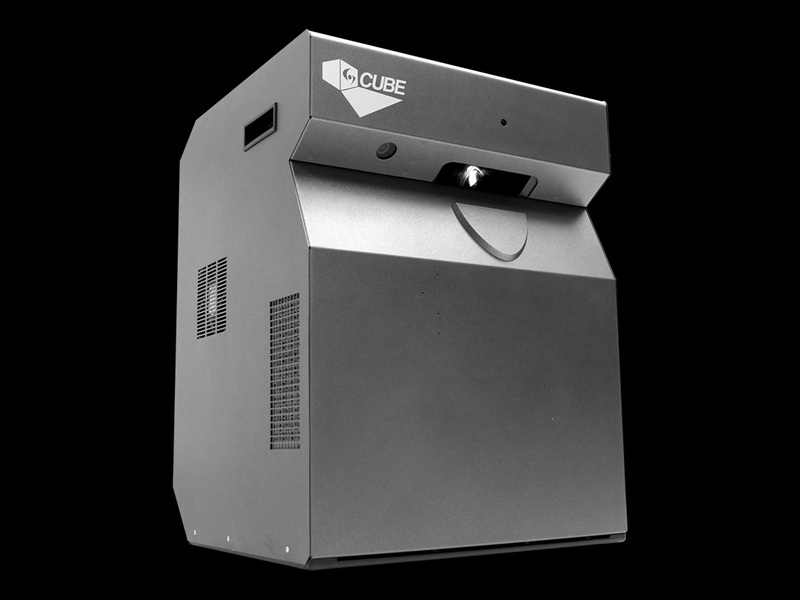 The Cube projects an interactive 80” diagonal display onto nearly any surface. It’s portable, costs less than a permanent component system, and comes with the same great gesture interactive games and applications. 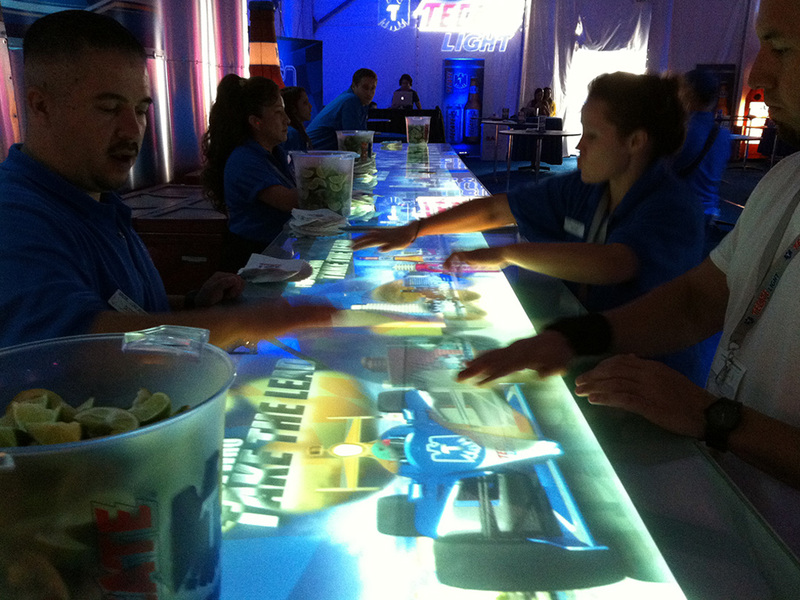 The Interactive Bars are turnkey interactive bar solutions that are plug-and-play with fully customizable graphics that react to objects such as bottles, glasses, coasters or your hand. 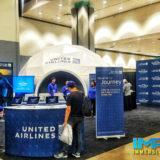 These displays are highly affordable and can be either purchased or rented for events anywhere in the world. If you want to add an experiential and impactful brand integration to your event or venue with a bar then these will blow your guests away.